Signature Dental is a small general dentistry practice located in Edmonton, Alberta that has been in business for 11 years. Before switching to ClearDent, they were not yet fully paperless and were becoming increasingly aware of the shortcomings of their current setup. Signature Dental’s practice management software no longer met their needs, and the problem was three-fold. Streamline – Their software was cumbersome and did not easily transfer information between sections in part because third party add-ons had been pieced together to round out the software’s abilities. They wanted a solution that would streamline their day-to-day operations, including an electronic charting system, a centralized solution for both appointment reminders and confirmations, and the ability to easily separate general and referred endodontic patients. Assignment – Although their software had the ability to enable assignment of benefits, the process was difficult and prone to mistakes; it had been long ruled out as a feasible possibility. Communication – Signature Dental had found that their patient communication was stuck in the past. They needed to be able to contact their patients through text message as that was becoming a frequently requested ability. A user-friendly interface: They needed something to streamline their work that was intuitive enough for the whole team to learn quickly. Easy-to-understand reporting: Signature Dental did not use their previous software’s reporting as it was not easy to clearly see the information they needed. Electronic charting and notes: They wanted a solution that would convert their paper files and make the transition to a paperless practice seamless. Signature Dental discovered ClearDent at Pacific Dental Conference (PDC), and the more the team learned about the software, the more it became clear that it was a perfect fit. “The small demo I was given at PDC showed me so much of what a software should be able to do. I have used Dentrix and Power Practice, and ClearDent is much higher quality than both of these,” says Lindsay Kirkbright, Office Manager at Signature Dental.What ultimately convinced Signature Dental to partner with ClearDent was the automated Explanation of Benefits (EOB) and Coordination of Benefits (COB), the ability to sort regular and endodontic patients, and the ease of transitioning to a paperless practice. “ClearDent is literally the backbone of the clinic and helps streamline so many different areas that it saves us time that can now be spent with patients and providing better care. You can definitely see that thought was put into each area in the software to see how each function is actually used,” explains Lindsay. “As we are a small clinic, we need to be able to have a team that is trained in many different administration duties whether you are an assistant, hygienist or dentist, and ClearDent has helped us create that environment so we are very thankful,” says Lindsay. Features like a color-coded interface and automated EOB and COB allow the whole team to easily book appointments, enter treatment plans, bill patients, and more as needed. The electronic patient charting provides clarity and reduces communication errors between the clinical and administration sides. 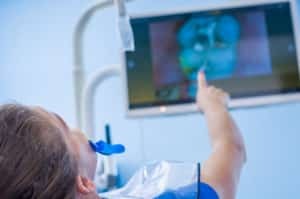 The ability to be able to complete treatments and enter treatment details from the operatory then seamlessly transition to the front desk means fewer errors, more productivity and a much better patient experience. 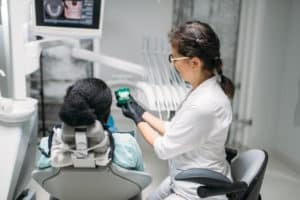 Both Signature Dental and their patients have been enjoying ClearDent’s communications tool, ClearConnect. The majority of their patients confirm their appointments immediately by clicking the link in the text or email or replying directly, reducing no-shows and late cancellations. “90% of our patients have expressed that they love the reminders and the ability to text us and have a conversation with us”, says Lindsay. Instant 2-way text messaging to individuals or groups of patients has opened up a new path for communication that is proving to be very popular. Automated EOB and COB makes coordinating with insurance companies painless, and streamlines checkout and collection. The team can see patients’ coverage immediately and provide accurate estimates of what the patient owes instantly. “When we’re able to collect immediately, it cuts our accounts receivables down immensely,” says Lindsay. With the ability to easily see production and collection trends, the team can stay on course and can quickly recognize opportunities for improvement in a variety of different areas that affect the bottom line. “The graphs make it extremely easy to understand, and Dr. Bustamante loves the breakdown for dollars/hour,” adds Lindsay. With ClearDent, Signature Dental’s production is up by approximately $10,000 to $15,000 per month. Using the software, the team is able to chart the patient’s mouth and outline a clear treatment plan easily and quickly. 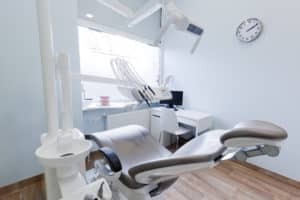 Plus, with email reminders and convenient patient communication methods such as texting, Signature Dental has seen an increase in appointments for overdue patients, bringing in a steady flow of traffic. ClearDent gives the team the ability to not only schedule appointments but also block off certain times or whole days. Booking recalls in advance is made simple with 3-month, 4-month, and 6-month options. As well, the drag-and-drop feature in the scheduling tool is simple to use, and automated confirmations and recalls help save a lot of time. Since implementing ClearDent, Signature dental has experienced both growth of revenues and reductions of time wasted. Thanks to the productivity features that they love, specifically ClearConnect, they are able to spend much less time on the administrative portion of running a clinic and have instead directed their energy toward providing amazing patient care. Patients are happier and feel like they are being taken care of, staff is happier now that they don’t need to spend time on tasks that should be automated, dentists are happier because treatment planning is so easy and the right information is available to the front office staff immediately, and owners are thrilled because their profits jumped $10,000 to $15,000 per month! ClearDent fundamentally improved the way Signature Dental was able to do business. Let us show you what ClearDent can do for your practice.